Peoples Bank of Munster is among the honorees that will be presented with the Indiana University Northwest Chancellor’s Medallion on Nov. 1. The awards, the highest honor given by IUN, will be presented during IUN’s Chancellor’s Medallion Celebration, the college’s annual fall event to benefit student scholarships. The event is Nov. 1 at 5:30 p.m. at the Avalon Manor, 3550 East Highway 30 in Merrillville. Other medallion recipients include Carol Wood and Nelson De Leon, both faculty members at IUN, and Nancy and James Hamblin of Munster, scholarship supporters of IUN. 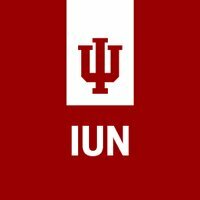 Peoples Bank representatives are active on the IUN Chancellor’s Commission on Community Engagement and the Chancellor’s Board of Advisors. Peoples Bank also has funded student scholarships through its participation in the annual Chancellor’s Medallion event, as well as given to a number of scholarship funds.